Jose Vives-Atsara was born April 13, 1919 in Vilafranca del Penedes near Barcelona, Spain. A native Spaniard, he developed a love of painting at an early age, and by age 11 had committed himself to becoming an artist. He studied at Colegio de San Ramon and had his first one-person show at age 14. The Spanish Civil interrupted his idyllic young life as he was forced to serve in the Communist Army, and then was imprisoned, suffering many hardships. Soon after the war he married Emilia Hill Domenech, and in 1947 set out to move with his wife and child aboard a tramp steamer to the United States. Unfortunately, immigration quotas did not allow them to move directly to the United States, and it was eight years before they achieved that goal. During this interim before obtaining temporary visas, he and his family lived first, in Caracas, Venezuela and then in Mexico City, Mexico. Vives-Atsara also developed a close relationship with the Incarnate Word College, becoming, over the years, both a professor of art, and Artist in Residence. 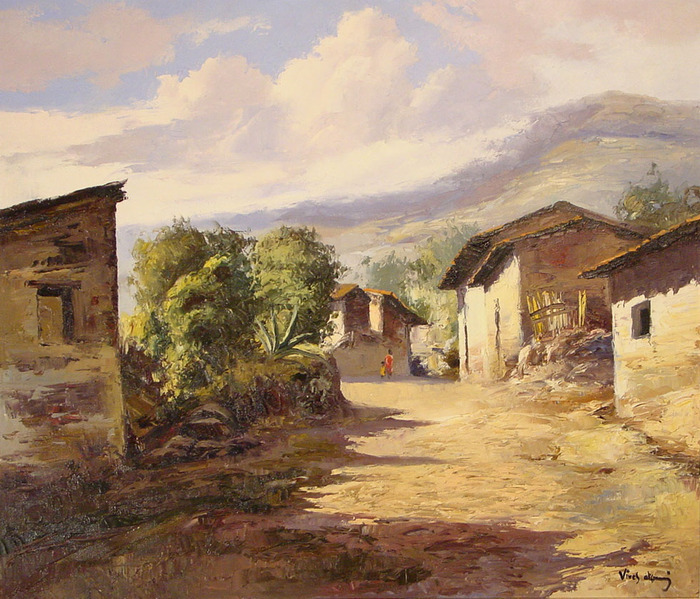 As a painter, he depicted many local scenes including San Antonio missions and the San Antonio River. For special guests such as Pope John Paul II, heads of state, and royalty from foreign countries, he was commissioned to provide paintings as gifts . 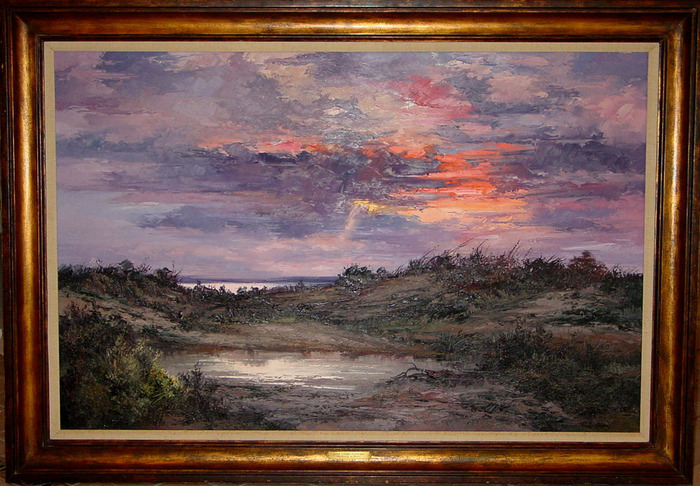 His paintings were also commissioned for Frost Bank and the San Antonio Chamber of Commerce. For his vibrant oil paintings, he used only nine colors, mixed in a variety of ways. They have been described as both realistic and impressionistic. "Vives-Atsara believed that art is a reflection of the artist's soul, if this is true; his paintings reflect a beautiful, bright spirit." (Richardson) Jose Vives-Atsara died in San Antonio on January 13, 2004, and is buried there in Sunset Memorial Park Mausoleum. Jose Vives-Atsara was born in Vilafranca del Panades in the Catalonian region of Spain on April 30, 1919. As a small boy he loved to sketch with pencil and paper. 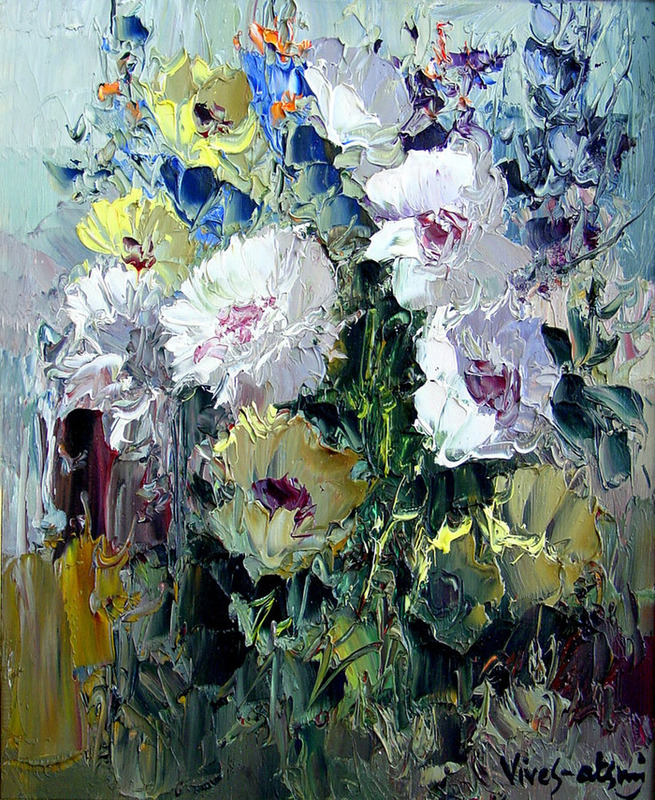 He began painting at the age of eleven. His first one-man show came at the ripe old age of fourteen. From that time on, painting has been his love and his way of life. Jose studied art at Saint Raymond College and School of Fine Arts in Barcelona. He is quick to admit that his most inspirational teacher has been nature itself. Mr. Vives-Atsara came to San Antonio in 1956 where he has established his art career. 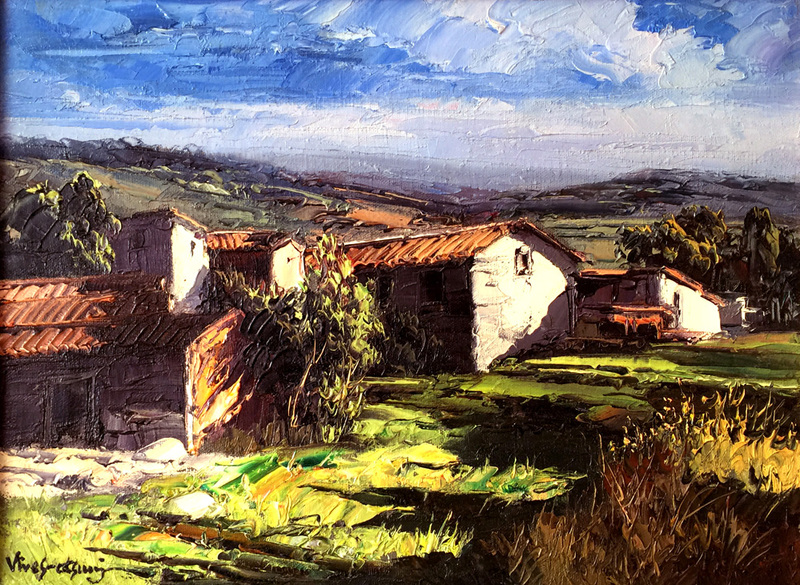 His use of a palette knife in painting allows him to blend rich pure pigments to achieve his goal of creating a powerful statement of color directly on the canvas. This style is intended to produce works that are distinctively 'Vives-Atsara'. Vives-Atsara is represented in public collections including the Museum of Modern Art, Spain; Fort Worth Art Museum, Texas; His Royal Highness Juan Carlos, King of Spain; the Vatican; the State Capitals of many southern states of the United States. He has also been a lecturer and teacher. He was the Artist-In-Resident at Incarnate Word College, San Antonio, Texas. 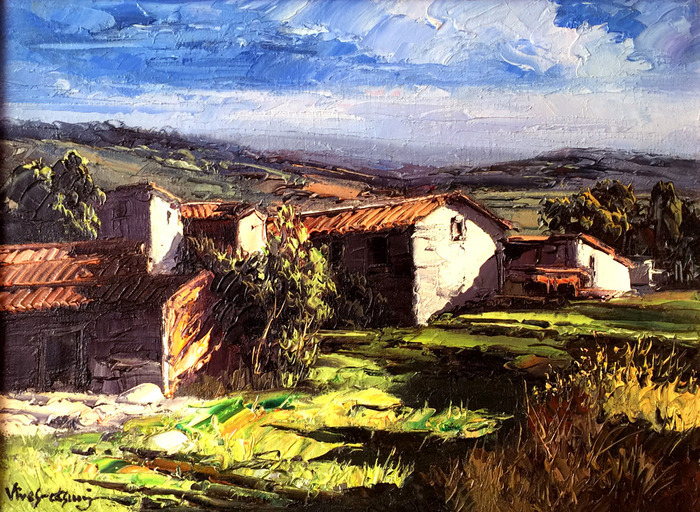 Although Mr. Vives-Atsara studied with many well-known European teachers, he insists that he is still learning about painting and is growing his range of subjects. His focus is on depicting the character of the people of Mexico, colorful and strong florals, and his Texas landscapes, which he regards as breathtaking. "Vives-Atsara considers himself fortunate in his ability to approach, even in a small way, the wonders that God has offered to man. For more than forty years, hard work and discipline have been his way of life. 'Discipline in our lives is something that we sometimes do not like today, but helps us achieve what we really want tomorrow.' "
Subscribe to get emails about our latest acquisitions and upcoming shows.